Ty for your work. I just found this website today! LOVE IT! Great font. Thanx 4 sharing! This is a very refreshing typeface that looks like it jumped straight from a 1950's magazine ad about some vacation destination! This font is beautiful. The color also is fresh. Good for informal writing. Good work. I will use this one for a long time if you know what i mean of course you dont it means nothing. Nice font XD Reminds me of the Disney logo text really well made! @WolfLambert because people have no words to describe its awesome'ness'? Very cool font...thanks for sharing so generously!!! This Font is Great Thanks! This font came in so much use. 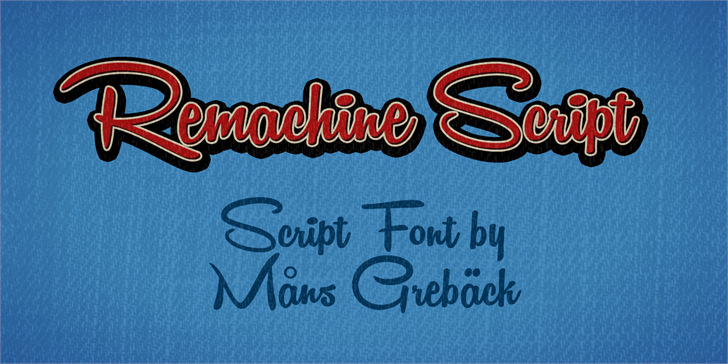 A really high quality creative font, check out Måns other work, its epic. 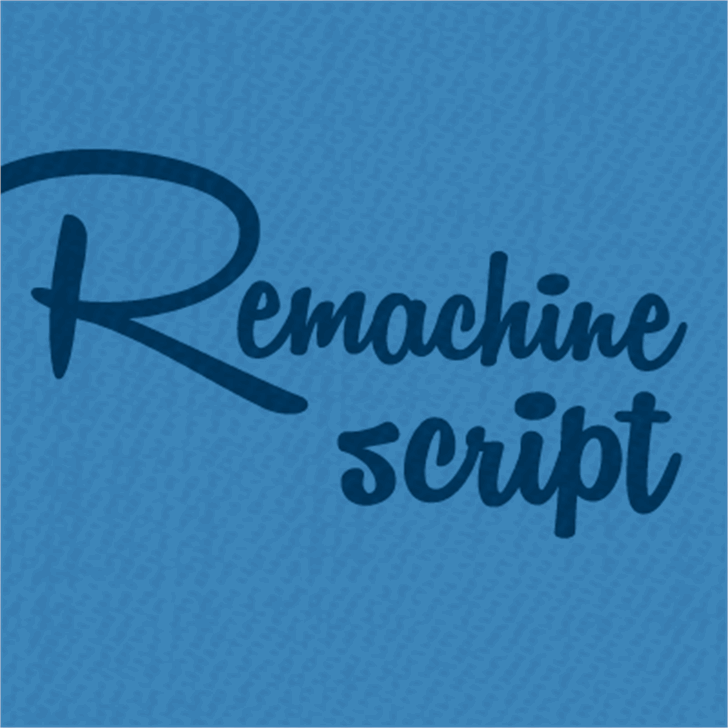 Remachine Script is a trademark of Måns Grebäck.